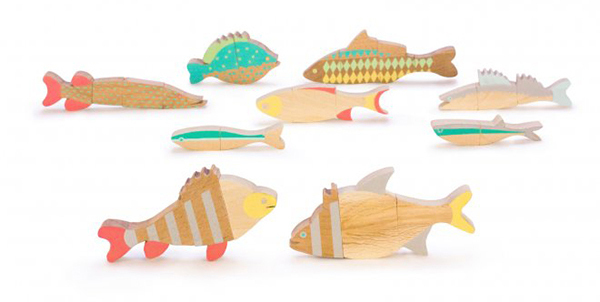 Fanciful wooden art pieces, ripe for imaginative play, are my favourite kind of toys for kids. 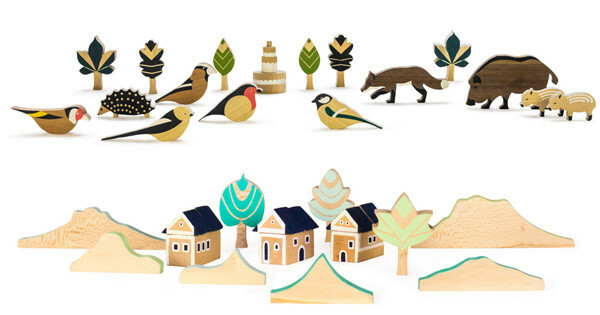 Like the beautiful wooden creations of Hungarian toy maker, Eperfa. Eperfa toys are created by three Hungarian women inspired by the fairy tales and natural landscape of the hills around their native Budapest and Hungary’s largest lake, Lake Balaton. Every aspect of the toys is made with nature in mind, from the humid greens, blues and grayish pink sunset colours of the paints, to the fact that the wood is sourced only from the Danube-Ipoly National Park. 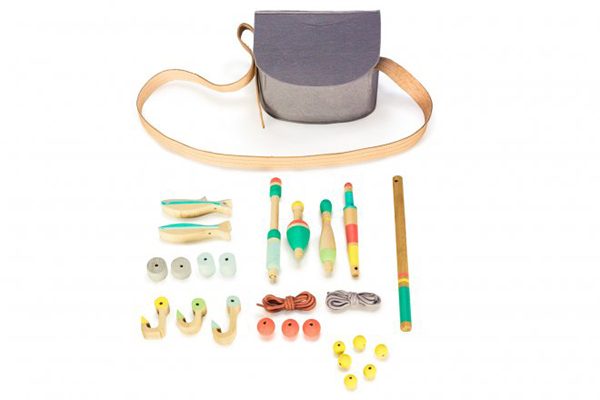 The toys recall memories of their creators’ childhoods, of days spent romping around shady forests populated with enormous trees and calling birds. When playing with the Mountains Set collection ($31), your kids will almost feel the sun on their faces, hear the ferries crossing the lake and smell the warm water. The beautifully painted collection of fishing tackle with its little matching cross-body bag is perfect for a lazy day of pretend fishing and trailing little toes in the water. Who needs anything else when you’ve got simple toys and the limitlessness of imagination? Eperfa’s collection is available online and ships to Australia.